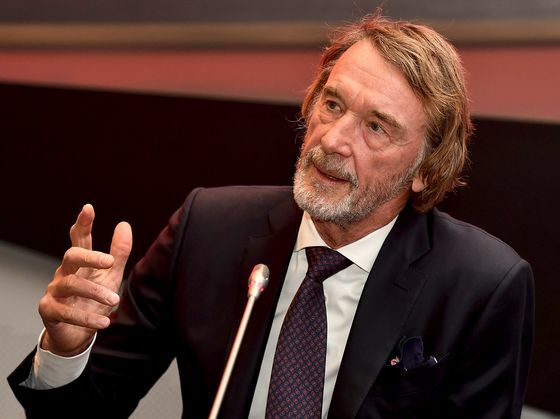 (Bloomberg) -- British billionaire Jim Ratcliffe’s Ineos Group Holdings Plc said it’s in talks to invest in OGC Nice, the French Ligue 1 soccer club. France’s Olympique Gymnaste Club Nice Côte d’Azur, owned by an investor group led by NewCity Capital Chief Executive Officer Chien Lee, would join the chemical firm’s investments in Switzerland’s Lausanne soccer club and its recent purchase of the U.K.’s Team Sky cycling group, which will become Team Ineos in May. “Ineos confirms that it has expressed an interest in the club and has had exploratory discussions, but can say nothing more at this stage," a spokesman for the company said in an email on Friday. Lee couldn’t be reached for comment. Lee initially showed interest in a sale but is no longer receptive, Ratcliffe told newspaper Nice-Matin, according to a summary of that report Friday from Agence France-Press. Nice is in eighth place in France’s top division, still within range of qualifying for the UEFA Europa League next season. The team is managed by Patrick Vieira, a former player for England’s Arsenal and the French national football team. Its stadium, Allianz Riviera, has capacity to host more than 36,000 fans for soccer matches and 44,000 for music concerts. Lee became a co-owner of Nice in 2016. In 2017, he became co-chairman and co-owner of Barnsley F.C., an English soccer cub.